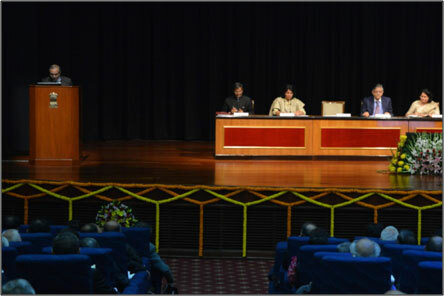 CII conducted a special session during the Visitor’s Annual Conference, which was held for 114 Central institutions together for the first time. During this session CII got 27 of its member companies to exchange MOUs with heads of academic institutions. The ceremony took place in the royal banquet hall of Rashtrapati Bhawan in the presence of the President of India, Mr Pranab Mukherjee; Union Minister of Human Resource Development, Ms Smriti Zubin Irani; Secretary, higher education, Mr Vinay Sheel Oberoi and several high-level dignitaries from industry and academia. The book contains glimpses of the ceremony which saw 25 of CII’s member companies exchanging memorandum of understanding (MOU) with heads of top 25 central institutions.